Posted on July 29, 2013 February 22, 2014 by Heather W.
A special thanks to SmartLab for providing me with a free product to review on my blog! I recently had the pleasure of reviewing the Squishy Human Body and I must say, this is by far one the neatest “toys” I have ever seen! My inner geek was anxious for this product to arrive at my door and I was more excited than both my children once it did! My daughter and I immediately brought it to the dining room table and ended up playing with it for hours. The book that is included offers an impressive amount of ways to encourage and guide your child as they separate the organs. Learning about the human body has never been so much fun and each little organ fits perfectly with their adjacent pieces. Every organ that comes in this toy is featured in the book, allowing your child to discover everything there is to know about it. In addition to the organs, you can also take apart the skull and remove the brain with your forceps. The bones and muscles also help to show your child how those important body parts support your structure. As soon as my daughter completed the organ-izer, I assumed it would take us quite some time to get our squishy human body back in order. However, there is a page in the book that guides you through the steps of putting the human body back together properly. The organs are also made of a squishy material, which makes it incredibly easy to stick all the organs together. I can not emphasize enough how amazing this toy is and how much I look forward to the many ways we will use it in the future. Adding fun to learning is always a great way to intrigue children and SmartLab did it perfectly with this toy! 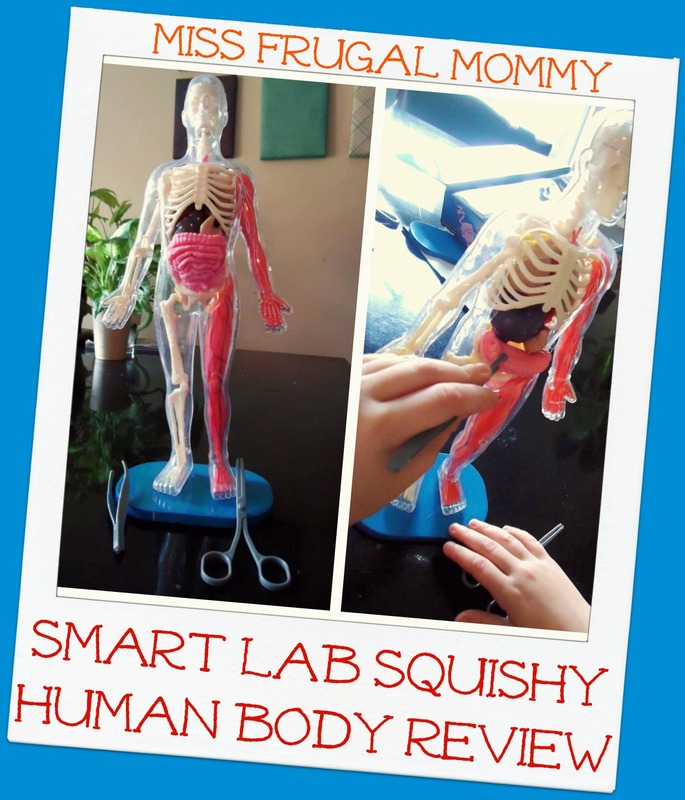 Visit SmartLab today and consider adding the Squishy Human Body to your collection of toys, I guarantee your family will love it! You can also find SmartLab on Facebook, Twitter & Pinterest! Save 25% at SmartLab Toys by entering BLOGDEAL0713 at checkout! 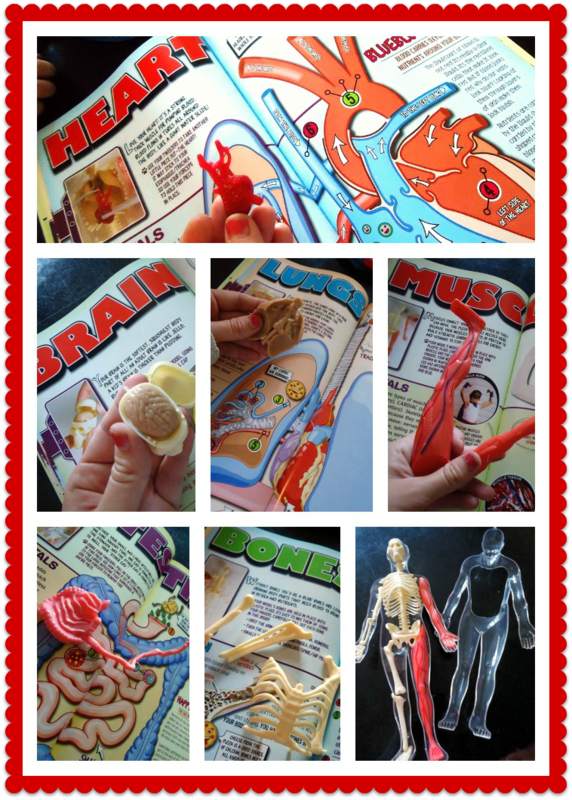 What a great way to learn about the human body! That is a very cool learning tool! My son would love that Robo-Bug. My daughter would love this Human Squishy Body. My daughter would love one of these. She is very interested in the human body. That is the coolest most educational toy ever! There is no better way for kids of all ages to learn than with their hands. I think this would be awesome to have. I know my daycare kids would benefit from me having one. Looks like a great combination of educational and fun!!! I love that all the pieces come out for them to explore! We are starting our first year of homeschooling and learning about the body will be one thing we cover. Such a great product to use for exploring the insides!!! Thanks for the review!! The expressions on your daughter’s face say it all! She looks totally enthralled and then the look of happiness and joy which goes to show learning can and should be fun! What a fun way to learn about the body for my grandchildren. I know they would have a great time with this and so would I.
this is awesome. it is educational but also fun. I really like how it is squishy. It makes it more realistic. My son would love this. He played with the skeleton at the science center forever. This looks like such a great learning tool for my kids! 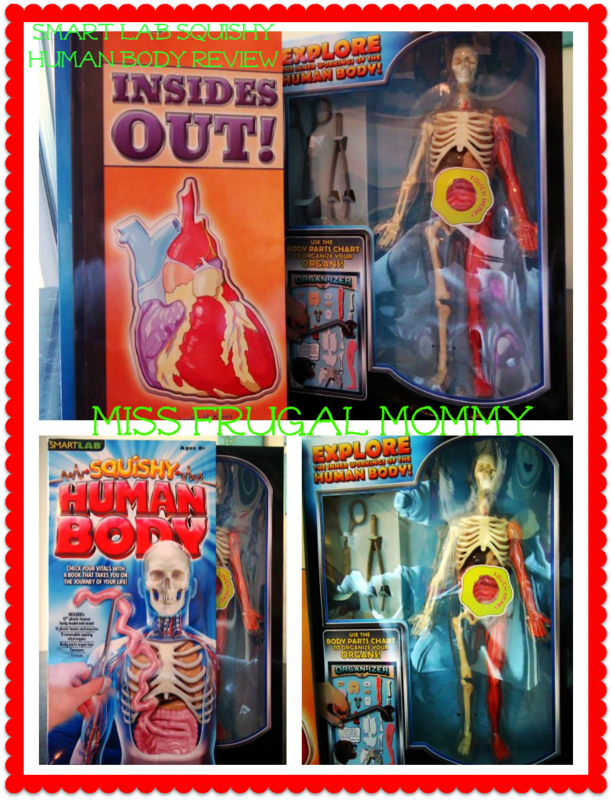 My son would love this set, he is always reading anatomy books. I love the whole science aspect of this review while teaching children about science in a fun way. See thru, squishy, body parts are all words that attract children and keep their interest. This is so educational and would make a great show and tell item! I would love to get this for my kids. I Love the idea of having the body parts to remove it is so much easier to learn than from a picture. By doing the children will remember better. 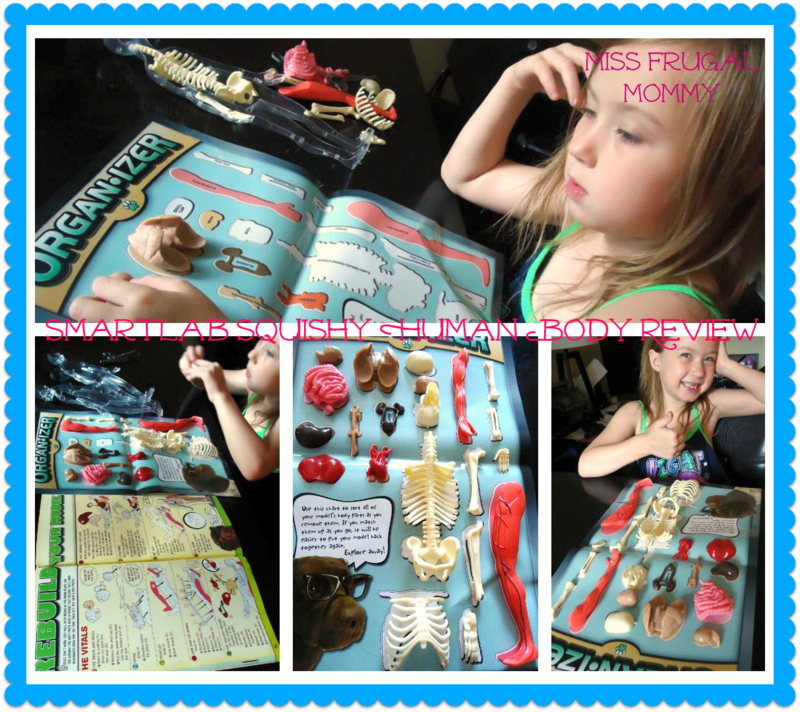 This a great way to learn about anatomy and make it interesting and fun at the same time. I wish they had educational toys like this when I was a kid. My son is absolutely fascinated by the human body. His favorite book was a medical book on the human body for years, the thing is tattered beyond recognition. This is definitely going on the Christmas list for this year. I think this is a super educational toy. I took anatomy in high school and learned a lot. These products look amazing for kids! When I was a child I would have loved to look at and play with something like this! Great review, thanks for sharing about this amazing item! This would be great to have for my son. It would be great to play/learn with on summer days. This is really neat! I love it because it gives the fun concept of it being a toy while being an effective learning tool! I also like the ReCon 6.0 Programmable Rover.